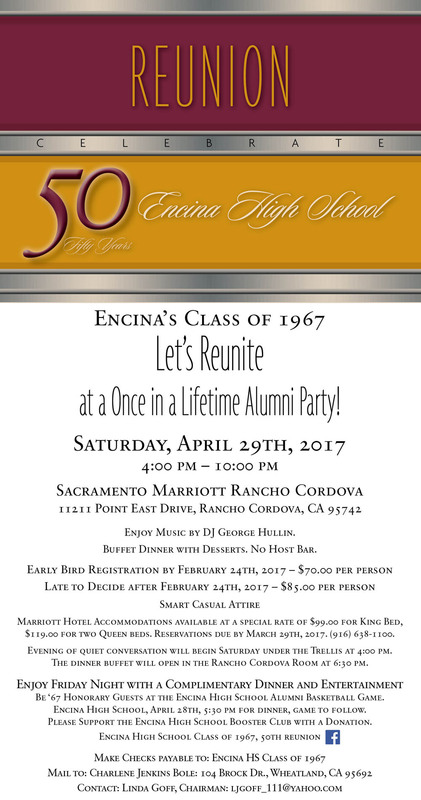 Welcome to the Encina High School Class of 1967 homepage! Factory on Hazel and Folsom. We will meet at 11:30 am. The cost will be $20;(cash) at the door for your choice of entree: baked lasagna, tortellini with Alfredo sauce, or chicken Marsala. These come with salad and desert. Drinks will be pay-as-you-go! We reserved a room that will accommodate up to 40, so spread the word! If you know anyone else in our class, spread the word! Hopefully, this will be a way we can stay connected between "reunions." If you are going, please let Janie Moran McGinn know by emailing her at jmginn@surewest.net ASAP. 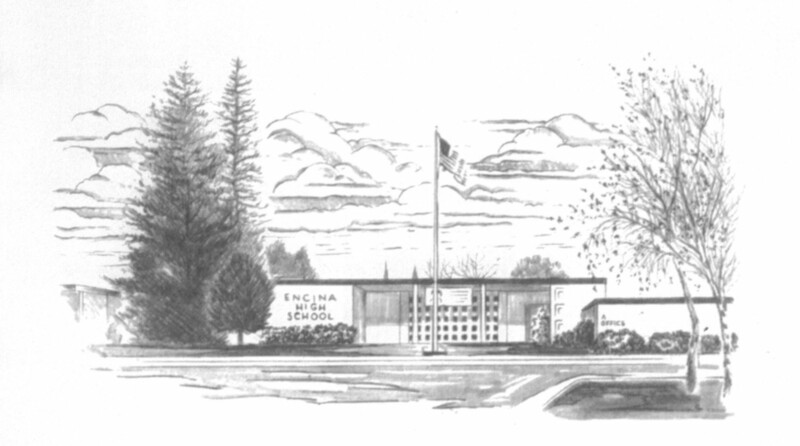 The 1967 Class Directory lists contact information for classmates. Please submit your contact information too. This page was last updated on 12/31/10.